Many managers think they know how to “run” a meeting. They set the agenda, do all of the talking, and make all of the decisions. While this may feel easy and efficient for managers, it’s often a waste of people’s time and does not tap into the creative potential of the team. What they really need to do is to learn and practice some new skills: meeting facilitation skills. 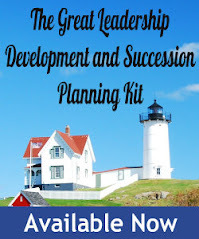 Read my latest post over at About,com Management and Leadership for 9 skills required to facilitate a meeting, all of which can be learned and improved with practice.